We all have moments in our lives when a choice presented itself. You could choose Door A and all it brings. You could choose Door B and face those consequences. Some of us were lucky enough to recognise that moment, to see the fork in the road where more than one path was open to us. Others of us, or all of us at different times, didn’t realise there was more than one choice. But there usually is. Very rarely is there only one way to go. When it comes to overshopping and impulsive and compulsive shopping, we can often delude ourselves into thinking that we had no choice. That we simply had to have it! I am very familiar with this feeling, and spent many an unquality hour justifying a purchasing decision that later I knew was a choice, not a foregone conclusion. Like those leopard print Converse sneakers I bought on College St in Berkeley in November 2009 – a month before starting my year without clothes shopping (the experience that changed my life). I already had enough ‘urban sneakers’ in a variety of colours, prints and styles – more than enough. I didn’t need another animal print anything, let alone another pair of shoes. The “no choice” shoes – I had to have them. It was only later that I had the time to consider that purchase. To wonder where my “choice point” was, and why I had bypassed it so quickly. It was only later that I had the time to luxuriate in my regret, and feelings of guilt. I could tell you 100 stories like that. The only thing that would change was the item in question. I deluded myself for many a year about items that I saw in stores that grabbed me by the throat and made me buy them. Items so compelling, so desirable, so “me” that they practically jumped into my shopping cart all on their own! So I know what that feeling of “I had to have it – I couldn’t help myself!” feels like. I’m very, very familiar with it. The thing is: it’s a bit of a cop out. It isn’t true that we had to have it. It isn’t true that we had no choice. And when you tell yourself things like that, you give away all your power. You make yourself weak, and helpless. I’m very big on empowering others. Everything I do on this website and in my work is about providing ideas, inspiration and practical help to others. I believe in helping people set themselves up to succeed. In providing handrails (not handcuffs) that will guide them, keep them steady and true, and get them where they want to go. And awareness is the often the first step on that journey. Without the gentle light of awareness, you can’t see clearly to make a different, better choice. You can’t even see the choices, let alone have any insight into which one to take. We really do get to choose. So when it comes to your shopping behaviours and beliefs, it’s helpful to explore the defining moments and powerful choices you have. These ten choices below were inspired by the powerful choices questions created by my friend and colleague, the inspirational Pam Fox Rollin of IdeaShape. Thank you Pam for allowing me to reorient these ten powerful choices toward our shopping behaviour. Let’s explore ten shopping choices you have. The choice to let go and move on. 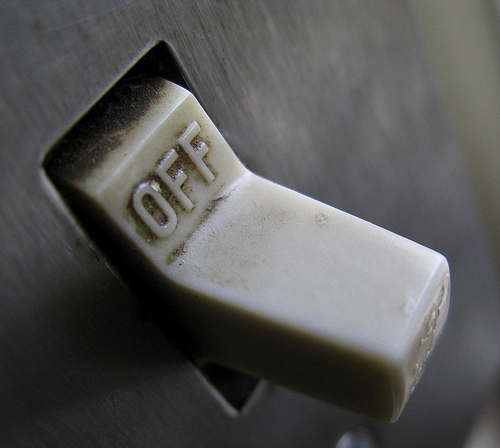 The choice to put it down, engage the power pause and walk away. The choice to think about something else, to do something else – other than go to the mall, or click over to your favourite online shopping site. You can let it go, you can let go – and you can move on. The choice to confront our beliefs with data. Don’t just assume that what you believe is true – check it out, do some research, read about that label, do a wardrobe review, challenge the belief that we need to constantly update our wardrobes and ‘looks’. Choose to challenge your shopping attitudes and beliefs with facts and information. The choice to see the game and offer to change the rules. There is definitely a game going on when it comes to shopping and consumption, and we, the consumers, often don’t even realise it, let alone have consciously chosen to participate in it. Recognise that there’s some hoodwinking going on and that shopping isn’t the answer. Choose to wake up to the many messages we’re given about what to buy and why – and choose to tune out those that don’t serve you. The choice to go for something bigger. Your life is far too important to spend it. Your life should be lived! Your life should be savoured, explored, lived large – not spent searching for that perfect handbag or accessory or ensemble that will make you feel complete (it won’t – not for long enough anyway). You’re bigger than your shopping habits – live your life that way! The choice to support others in doing things their own way. Rather than making a snap judgement about the choices someone else is making, adopt an attitude of curiosity instead. 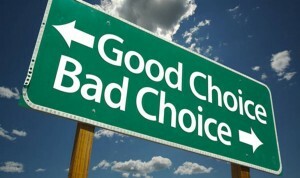 Other people’s choices make sense to them, even if they don’t make as much sense to us. Take a moment to stand in their shoes and be curious about how they see and experience the world. The choice to admit ignorance or fatigue and ask for help. Sometimes we all need a helping hand, an encouraging word and a moment to stop and reflect. We’re not sure if we should give up or go on, and we’re darn tired into the equation. Stopping to ask for help from a friend, or a professional, or just stopping to rest are valid choices, sometimes the best choice we could make (and remember, I’m here to help). The choice to call a time out and regain perspective. In times of overwhelm and confusion, it can be tempting to heed the call to just keep moving, to keep doing, to take action, any action! If you’re in a shopping environment, you may feel the best thing is to just pick something and buy it. But sometimes the best choice is to stop for a moment, take stock, ask questions and do nothing (sometimes the tough love message of stop shopping, stupid! can be helpful). Insight and inspiration will appear but they happen on “God’s time, not mine”, so invoke the power pause, leave it behind, and luxuriate in the sense of calm that comes when you give it a break for a while. The choice to get real about our fears and hopes. 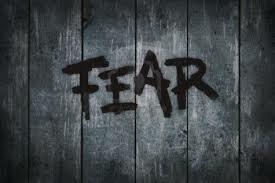 Unexplored fears and hopes can be the source of much confusion and frustration – and over-shopping behaviour. We only have a vague sense of what we want — more! — but we don’t have a clear sense of what’s driving that emotion. Impulsive shopping behaviours have left many of us unfulfilled, as our shopping has been driven by unexplored fears and hopes. Stop feeding into the confusion and spend a moment or two (or three) to become clearer on what your hopes and fears are. The choice to speak a difficult truth. Ah, this one can be a toughie. If you’ve been a “shopper” for some time, it can be challenging to put the brakes on all that ‘incoming’ and explore who you really want to be, and what you really want to be doing with your life’s precious energy and other precious resources such as time and money. Do you really need another handbag, pair of designer jeans, leather wallet or animal print anything (okay, that last one was for me)? Once you face up to your own individual difficult truth, you’ve passed through the doorway where new and better choices can be found. Take that step – face and speak that difficult truth. It won’t kill you. The choice to accept fully what is. You are where you are (and possibly some of these qualities will ring a bell for you), it is what it is (the real costs of being a shopaholic can be illuminating to explore – what’s true for you?). 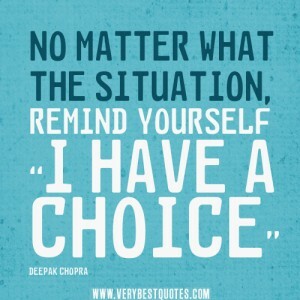 Without recognising the situation as it stands, no other choice is available to you. Sometimes the burden you are holding is only ever revealed as it truly is — heavy and awkward — until you put it down. And accepting your shopping behaviours and habits as they truly are is the beginning of that setting-down process, and of becoming aware of all the other more life-enhancing choices you have. These ten questions are a good starting point for you to start shining that gentle light of awareness onto your shopping behaviours and attitudes. Take some time to sit with these questions and respond to all of them, or just those that call out to you the loudest. Which choices will make the biggest difference to your success and happiness, and how you feel about yourself and your shopping habits? This post was inspired by the powerful choices questions created by my friend and colleague, the inspirational Pam Fox Rollin of IdeaShape.